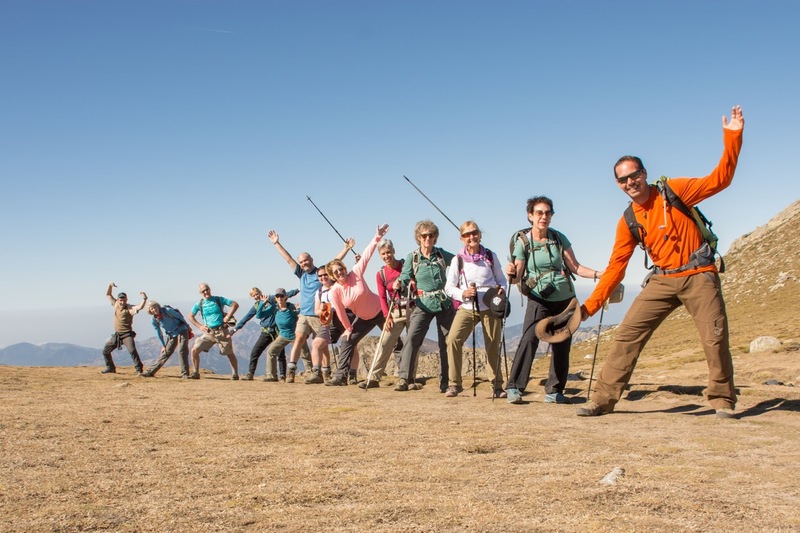 You are a group of friends search for a Corsican mountain guide and logistic to trek the GR20? You and your family only want to hike a selection of the most wild and diverse landscape of Corsica but you want to stay in confortable accommodations, luxury hotels and inn? Your a professional, a tourist agency, your company look for experimented local partenaire in Corsica, able to design a tailored mountain tour from the airport to the airport? We design and guide custom made tours since 2010 in English. Your local guide is a English and French speaking PROFESSIONAL mountain guide ( French state license) selected for his experience, training and good humour, and also trained in first aid. A faithful companion, always attentive to the little details. He’s a source of regional information: flora, fauna, traditions, history of Corsica. He lives fulltime on the Island of Beauty. full of anecdotes. For our picnics he select fresh and local products. He takes care of the entire logistics of your trip. He’s also your personal mountain trainer.